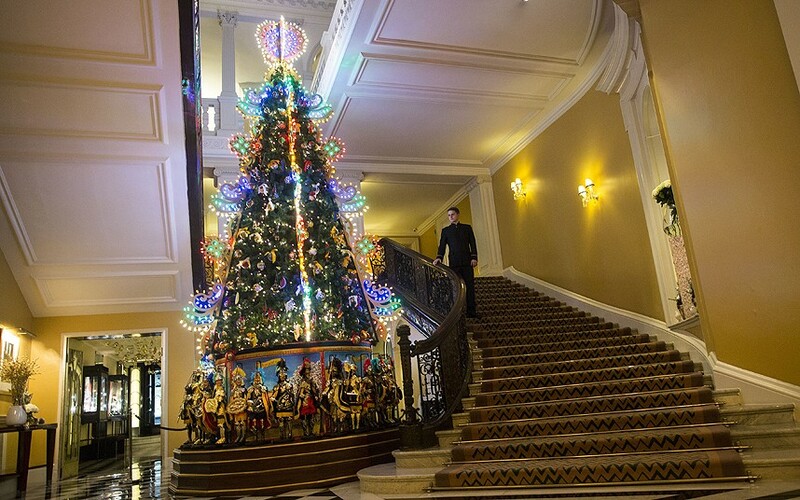 Keen to capitalise on the warm, festive glow, London’s hotels have unveiled their Christmas trees too and they just get more and more elaborate. Big no longer cuts it – now you need a fashion designer or master patissier to have a hand in the decorations rather than simply shipping in the loftiest spruce possible from Norway. Leading the charge is Claridge’s, which had Domenico Dolce and Stefano Gabbana deck their Art Deco halls this season. Instead of fairy lights and tinsel, the 7m tree sports 30 traditional Sicilian puppets and 450 Italian glass baubles hand blown in Verona and Lake Como, presented with the duo’s fashionable flair. 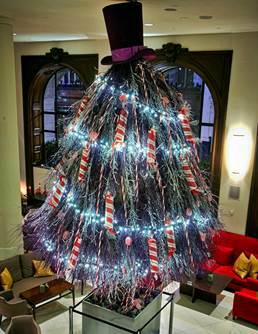 At One Aldwych near Covent Garden, the tree is a 25ft construction of candy canes inspired by Charlie and the Chocolate Factory – made up of white and purple twigs, confectionery and crowned with a top hat. You can admire it with a themed afternoon tea: a Cocktail Charlie or glass of fizz accompanied by candy floss, gingerbread pop and chocolate golden eggs filled with vanilla cheesecake and mandarin puree. Brown’s Hotel in Mayfair is dressed up in its festive best, with pine decorations infusing the air with a Christmassy scent. 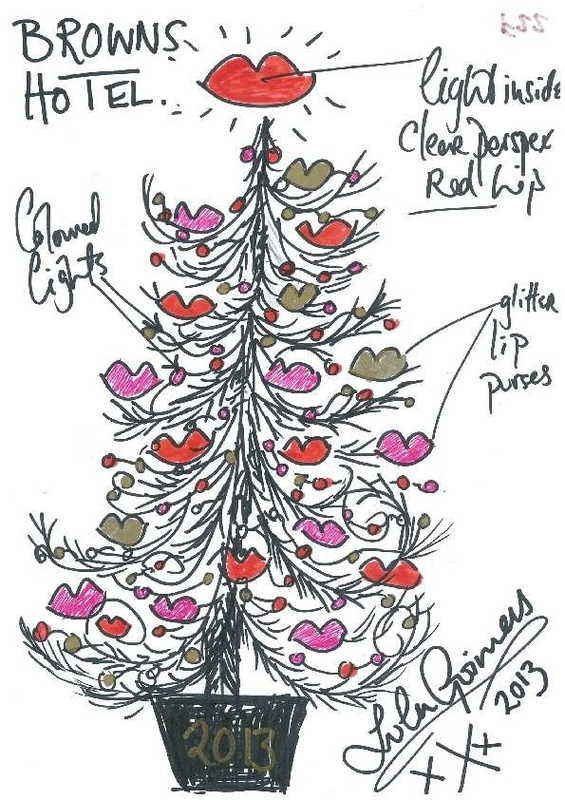 Lulu Guinness has put her quirky spin on the tree, covered with her signature lip decorations, coloured lights and big red lips crowning the top. Refreshingly, the tree is going up in December and will be unveiled tomorrow. 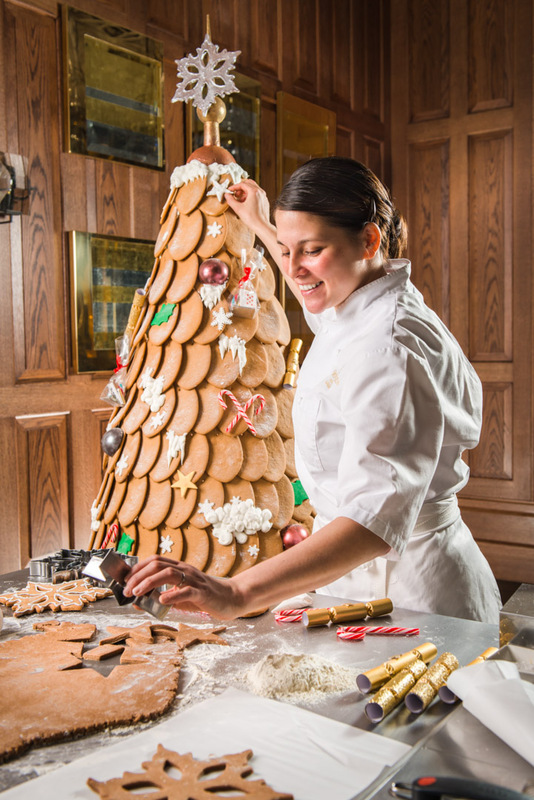 To emphasis the seasonal gluttony, the Corinthia has opted for a 3m edible tree made from 5,000 gingerbread cookies, shortbread stars, chocolate bonbons and edible holly leaves. If anyone’s tempted to tuck in, there will be complimentary mince pies and roast chestnuts to divert their attention. For traditionalists, hotels such as The Langham (below), The Ritz and The Savoy don’t mess around – expect spruce and pine dressed up to the nines in coloured lights, baubles and traditional wooden toys.